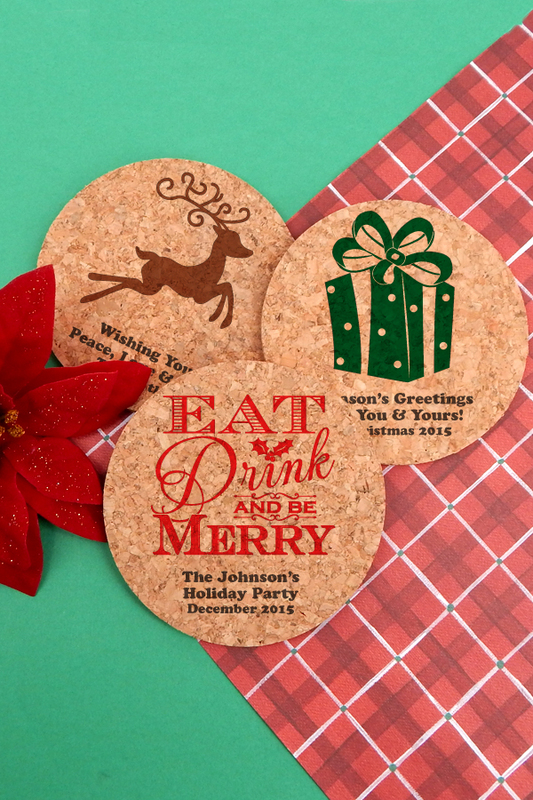 Set out personalized round corkboard coasters at your Christmas party to add a festive touch to your entertaining this holiday season. Place them out on table tops at a family gathering or give them as a gift for others to enjoy. Crafted from durable, 100% renewable, all-natural cork - a sustainable material that absorbs moisture and protects surfaces from hot and cold temperatures. Since these cork coasters are all natural, they can vary in color and thickness. 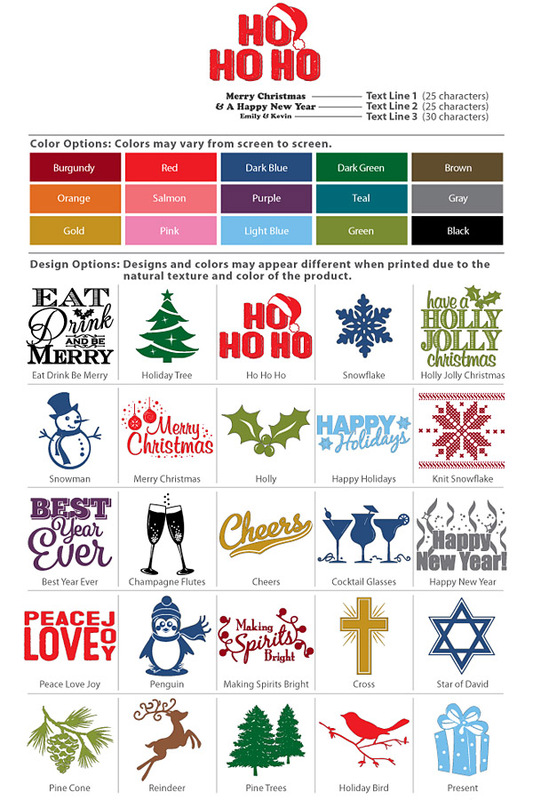 Coasters measure 4 inches round personalized with a festive Christmas design and three lines of custom text. These coasters came quick and are a bargain for the price. Added a line at the last minute and no problem accommodating me. Definitely would recommend anyone looking for personalized coasters!